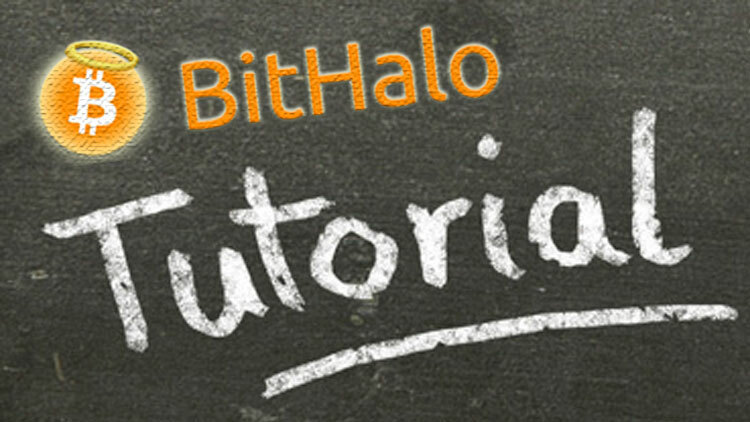 Bithalo | Mother of Smart Contracts and Decentralized Market for EVERYTHING! ACTIVE SINCE - 29th MAY 2014! Smart Contracts & Decentralized Markets! No more fear, uncertainty & doubt! Free Multi-Currency Software, available now: get started! Halo is the only program in the world to offer revolutionary unbreakable contracts! This allows you to agree on literally anything and know the other party will honor their word. By using double deposit, fraud is now impossible. No escrow is needed, no middlemen or websites holding on to funds. Read the whitepaper and documentation for more details. 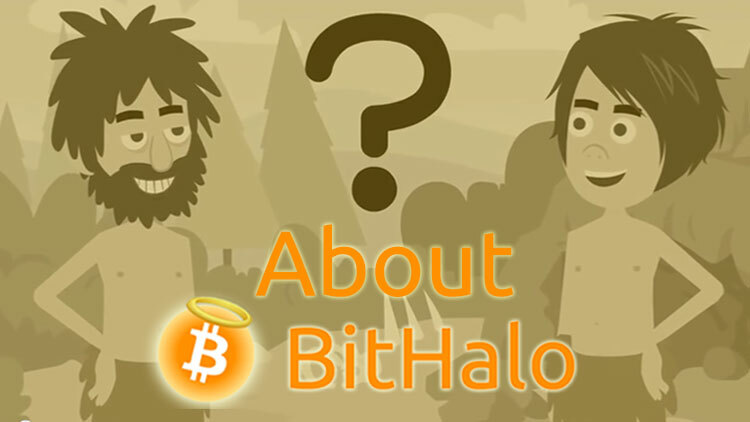 Halo also features the worlds first truly decentralized marketplace! Its totally FREE. No fees, no arbiters, no chargebacksrs. Trade internationally with anyone. Its like a combination of E-Bay, Alibaba and Freelancer! There are no servers and no bloat. There is no limit to what you can do here. An entire economy exists inside the software. Become part of it! The main markets can be kept mostly clean thanks to our peer to peer moderation system. Although it is decentralized, we want the masses to love and be part of the movement so we have created an identity system with free moderation keys and reputation systems. These amazing Templates allow full automation of all of the services you can provide in Halo. Barter, Auctions, Reverse Auctions, Cash for Coins, Find a job, Hire someone, Python Contracts and Custom Contracts! Anyone even if not familiar with coins, will be able to use and understand the system. 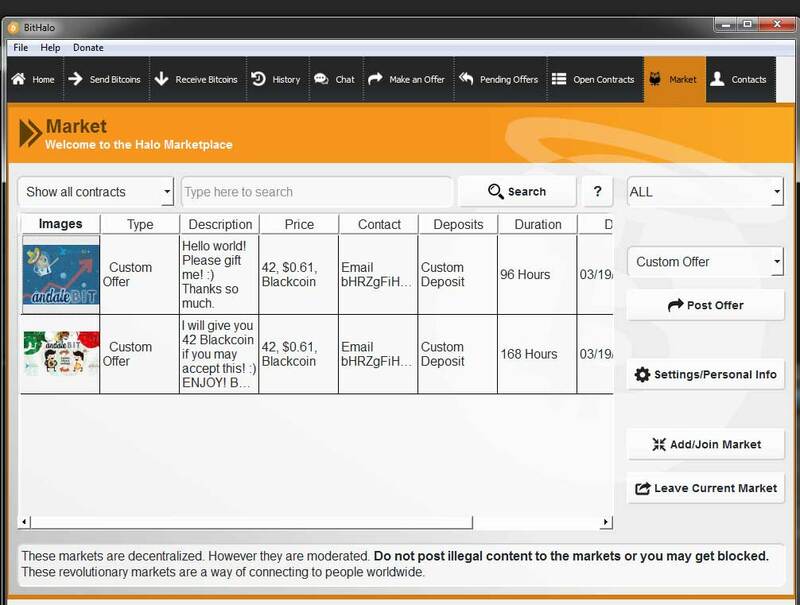 The worlds first fully decentralized exchange thanks to the ability to microtrade under the hood of a custom contract. No middle coins, no websites, nobody touches your funds except for you. Centralized exchanges are notoriously known for taking users funds totally disrupting the trust people place in this wonderful technology. Now it's made possible with a custom contract between any two coins using the deposits as insurance. 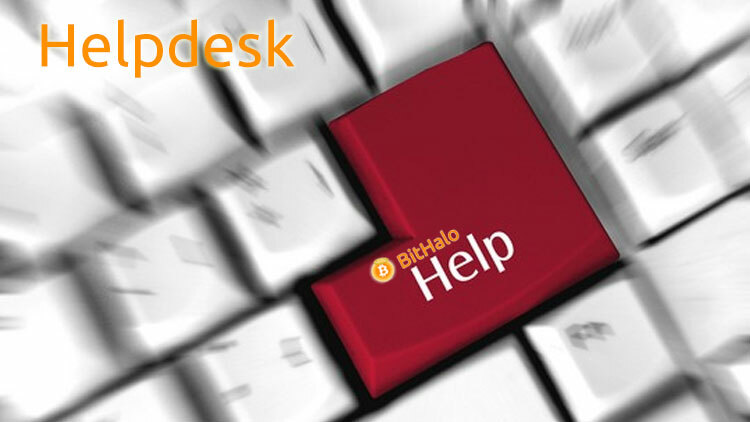 An upcoming revolutionary change is coming to crypto-currency in the Halo platform. We are working on a currency named BitBay that has the ability to inflate and deflate. Interest rates are controlled by votes and algorithms and thus, users can grow their own coin in a stable fashion ending the era of the infamous “pump and dump”. You will be able to sell reserve coins similar to bonds, perform advanced contracts and be your own bank. We feature a basic notary system with notifications in some Halo clients and the ability to prove ownership of any document. This is a very powerful tool in real world situations that still need valid paper contracts. In addition to your smart contract, this service can be immensely powerful. Smart Contract Templates! For example “Find a Job” and many more! Hedging System to remove volatility. Python Contracts for making your own templates.